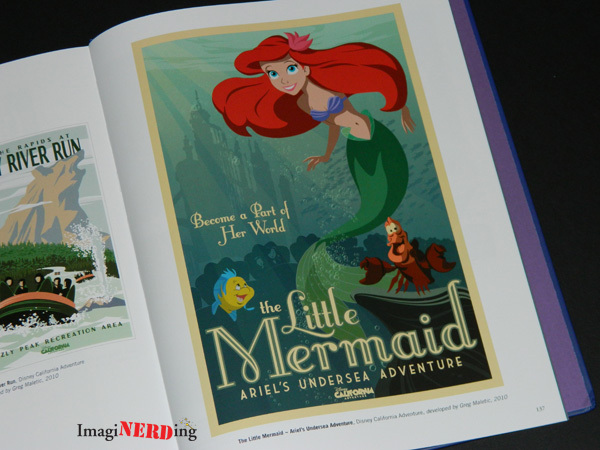 The Poster Art of the Disney Parks was released in 2012 and it was that rare book released by Disney completely galvanized everyone’s attention months before its release. The last book to even come close was Walt Disney Imagineering from 2010. When Poster Art of the Disney Parks was announced, speculation ran high and people wondered if this book would live up the the nostalgia and the vision of the famous Disney attraction posters. What makes the Poster art of the Disney Parks so satisfying is that Disney thought about the end product, the subject, the fans and the enthusiasts while putting it together. It is a large-scale book (11″ X 14″), which makes for eye-popping and big reproductions of the posters. Sometimes I offer a caveat with a review, like it is only for the hard-core nerds, but this book really offers something for everyone. Case in point: my wife was looking at the book and thought it was spectacular and she is not into Disney stuff like I am (she humors me, though). The Poster Art of Disney Parks is divided into nine chapters that cover all of the Magic Kingdom-style parks together, based on land. 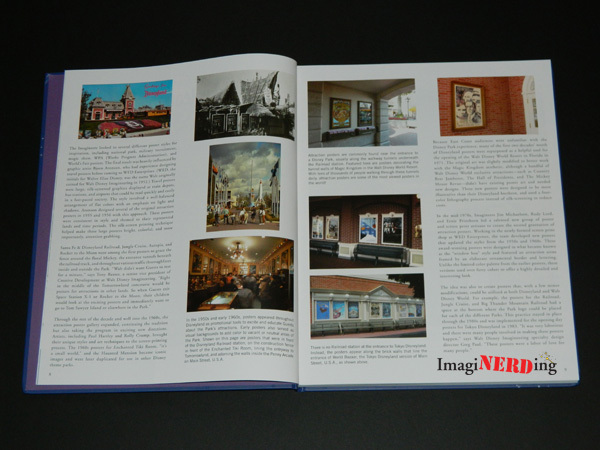 There are two chapters devoted to Tokyo DisneySea and Disney California Adventure. 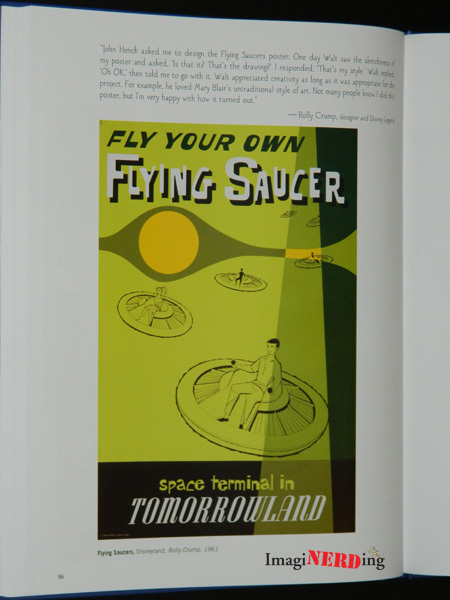 The few posters featured for the other parks, like Epcot, are inserted into an appropriate chapter. The authors, Danny Handke and Vanessa Hunt, are Imagineers and Disney fans. Danny has worked on many attractions and a Mr. Toad attraction poster. Vanessa works in the Walt Disney Imagineering Art Library and often curates exhibits. Both were fantastic choices to write this book. 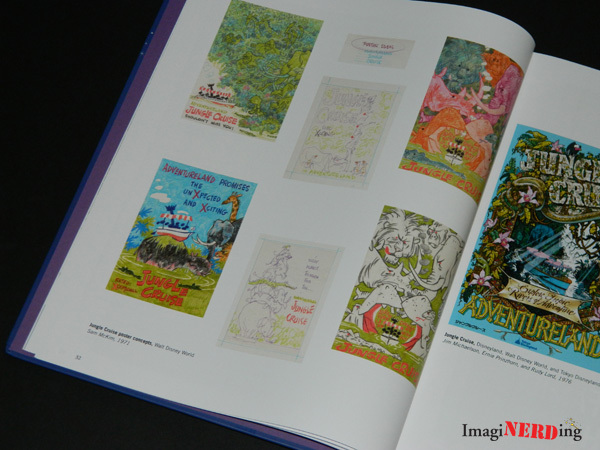 The first chapter lays the groundwork for the book, looking at how the posters used to be produced, including concept art and production works. The fantastic Monorail poster from Walt Disney World is used as an example of the older screening process. It is amazing to see how they were produced; obviously these must be considered works of art. There is some behind-the-scenes information about how the posters evolved and changed as different processes developed. There was a major dearth of attraction posters from the beginning of EPCOT Center until the development of Disneyland Paris (EuroDisney). The cost of screening the posters became very prohibitive and it wasn’t until computer artistry made the process simpler and cheaper that the poster program was revised. With Disneyland Paris, Imagineers Tony Baxter and Eddie Sotto wanted to bring the posters back to create that Disneyland feel. The computers also allowed the posters to be incredibly complex. It is amazing to see the change from the bolder and simpler designs of the 50s, 60s and 70s with the posters from the 90s and beyond. 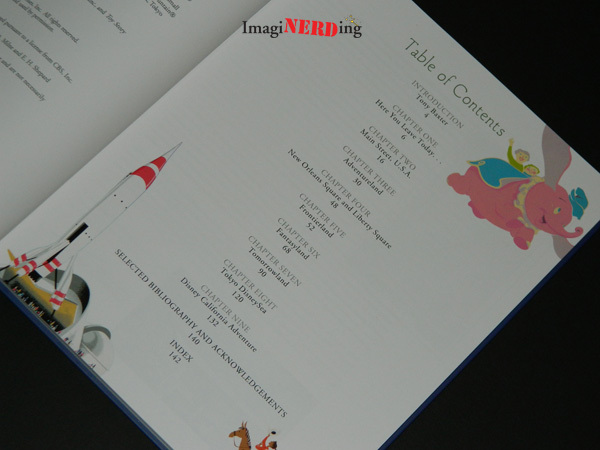 One of my favorite parts of the book is the notation of the artists that created the works. Any Disney researcher knows that identifying artists can be problematic if not impossible. Very few posters displayed are without an artist. With 142 pages, there are a lot of posters and it is great to see old favorites and once that we haven’t seen before or in a long time. The inclusion of the overseas parks is nice, to see how divergent messages are created. This is a book that every Disney fan needs to own! Do you own the Poster Art of the Disney Parks? Which is your favorite attraction poster?